MUMBAI: One of the most famous music reality shows, Zee TV Sa Re Ga Ma Pa L’il Champs, judged by Richa Sharma, Shaan and Amaal Mallik, has had smooth start. 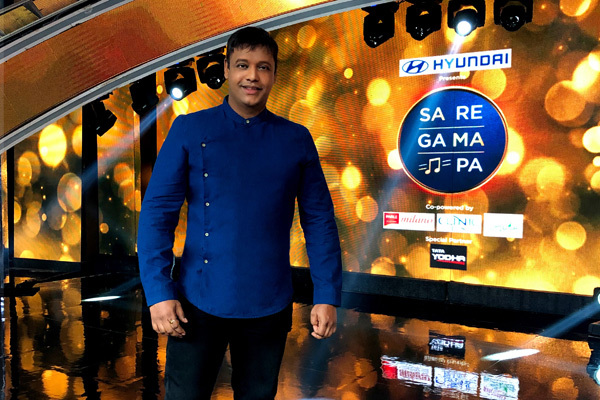 Hrishikesh Chury, a noted playback singer, who has crooned for hit movies like Housefull 3 and Tera Intezaar is back again on the popular singing reality show Sa Re Ga Ma Pa L'il Champs, thus making a hat-trick. This is his third season as the Grand Jury where he will be judging wonderful little kids on the show along with other jurys on the panel. Since 2017 with his debut as the Grand Jury, Hrishikesh Chury has been one of the most favourite jury on the show and has become quite popular among the contestants too. Hrishikesh recently posted a picture of him with the judges from the sets of the show and shared with his fans that he is coming back as the Grand Jury for the third time on the show. Sa Re Ga Ma Pa L'il Champs premiered on Zee TV on 9 February and is aired every Saturday and Sunday at 9 pm only on Zee TV.